Ugh. I feel rubbish. It’s something of a tradition for me to be ill on my birthday (tomorrow, take note) but it’s more than inconvenient today because I have a long day on set. I have been avoiding this cold for weeks, now, but on Sunday my body finally succumbed and I have been trying to bolster up the old natural defences by drinking lots of homemade Lemsip. Much better than bought Lemsip as it has, y’know, real things in it. Like real lemon and real honey. Obviously if you’re feeling shocking then you may not have the energy reserves to faff with lemons and honey (which dribbles all down the side of the pot and drives you mad) but if you can manage the effort, it’s worth it. 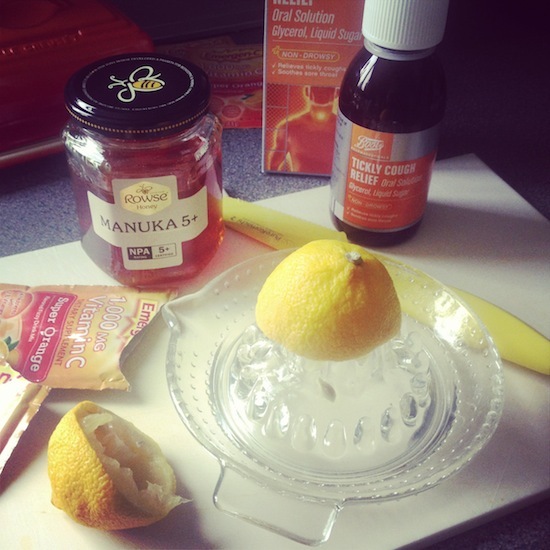 Homemade Lemsip: one large spoonful of Manuka honey (Manuka honey is like honey but about three thousand times more expensive. It’s supposed to be great for you; big on anti-bacterial stuff, apparently), half of a lemon, squeezed. (Small lemon. Big lemon and you might not need a whole half – depends how lemony you like it.) Add hot water, stir, drink it whilst swallowing down two 500mg paracetamol and trying not to drown in your own snot. If you can bear it (I can’t) then add fresh ginger. 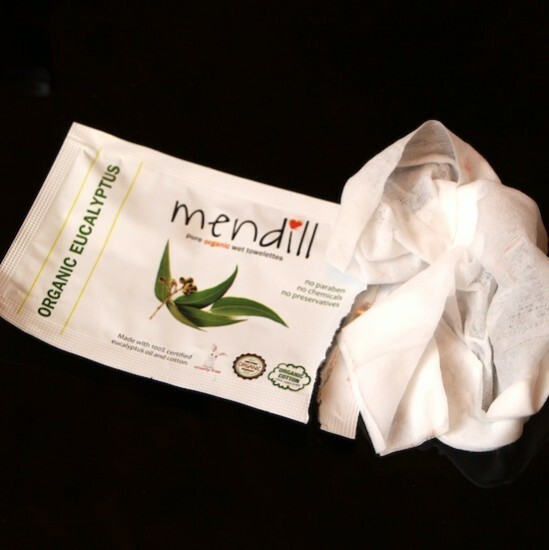 Saviour of the moment: Eucalyptus wipes from Mendill. I’m using them as portable non-steamy steam rooms but I’ve just had an idea that I might try: what if you stretched one over the top of a mug of boiling water? Mmm, that could be quite good! A portable steamy steam-room! Right, enough of this nonsense. I’m off to try and look normal. Previous Post Where do all the Hairbands Go?